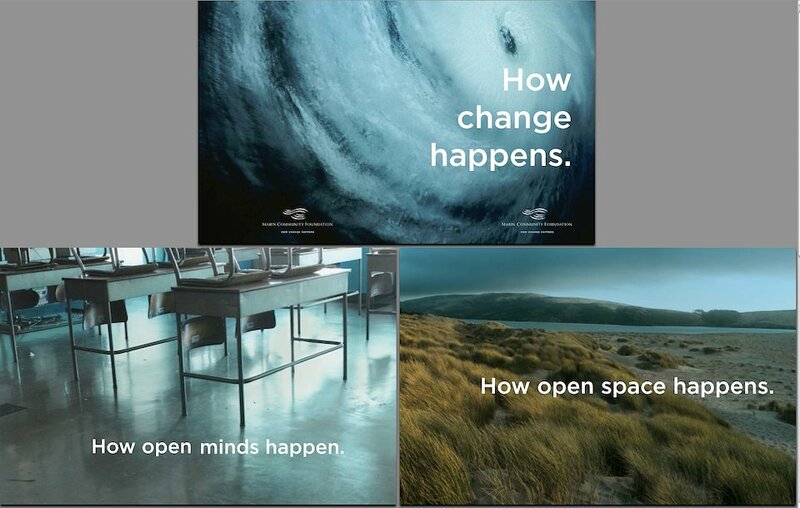 Marin Community Foundation - "How Change Happens." - Hugh Gurin – Copywriting. Content. Creative Direction. 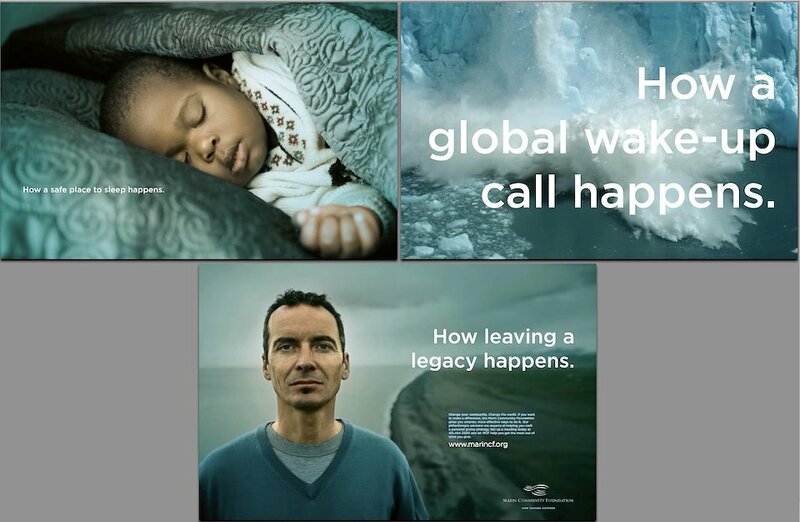 Marin Community Foundation - "How Change Happens." I encourage you to see the website for yourself at www.marincf.org. Collateral. You can see the individual pages from the tip-in are easily converted into direct mail postcards and/or event posters. There’s the obligatory coffee mug, and my personal favorite – cocktail napkins embedded with wildflower seeds. Just toss them on the ground and they grow. 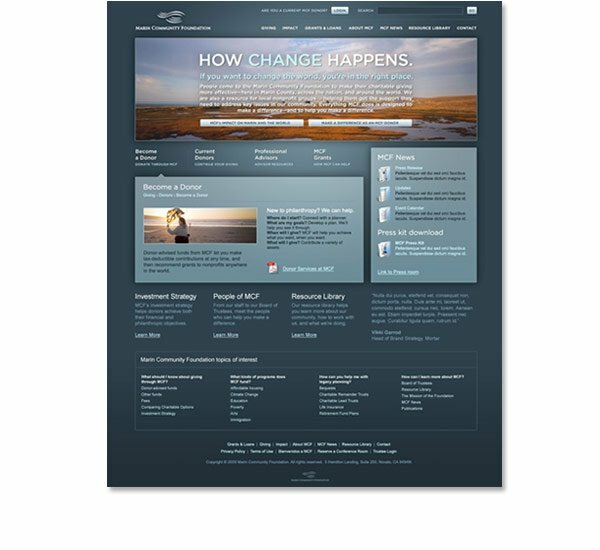 Website redesign and collateral aimed at convincing Very Busy Young Affluents that every dollar they donate through Marin Community Foundation delivers maximum philanthropic ROI. Marin Community Foundation/Mortar, San Francisco.